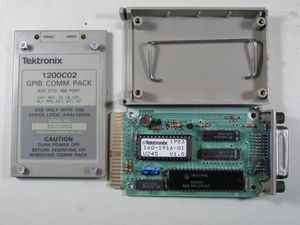 The 1200C02 is a GPIB COMM pack for the 1240 and 1241. It gives the logic analyzer the ability to communicate using the IEEE-488 interface bus. This page was last edited on 31 March 2019, at 08:58.